By the year 2018 nearly 50,000 jobs in the science, technology, engineering and math (STEM) fields will be vacant in Washington State. These are the jobs that will sustain our state socially and economically for the next generation, and they may go unfilled – unless we take action. At Women’s Funding Alliance our call to action is clear: to fill these 50,000 job vacancies we need to engage more women and girls in STEM. To create a workforce that is ready to solve some of the most critical problems in our state, we need to invite more women to the table, provide more gender-focused STEM programming and build a stronger statewide network of women and girl-serving STEM organizations. 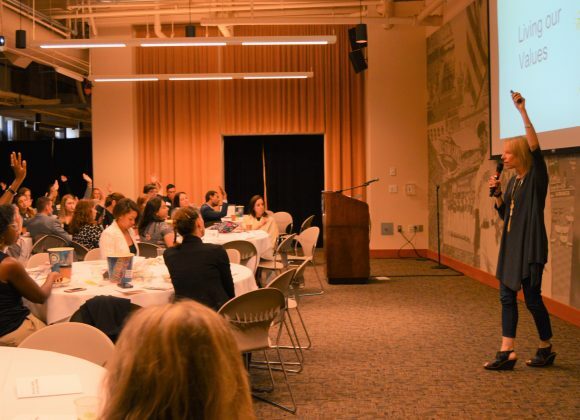 To propel this effort forward, Women’s Funding Alliance partnered with Washington STEM – an organization pushing for excellence, equity and innovation in STEM education across Washington State. Together, we set a proactive plan of action into motion and went on the road. 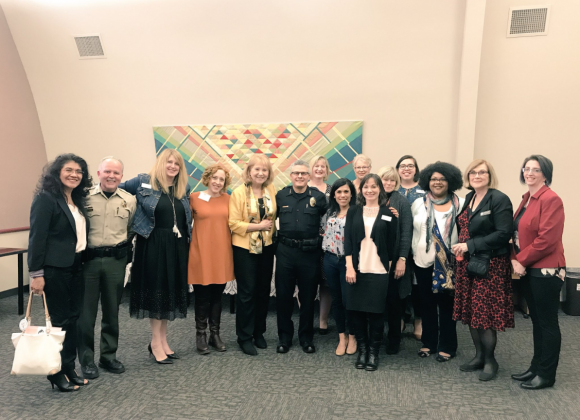 With a statewide network of STEM partners, Women’s Funding Alliance and Washington STEM visited regions in our state that traditionally have not been considered hot spots for STEM. From Bremerton, Vancouver, the Tri-Cities to Spokane we hosted a four-part series of Town Hall conversations about the importance of engaging women and girls in STEM. The Town Hall tour served as a catalyst for more STEM and gender-focused organizations to share ideas and collaborate on solutions. Organizations in Vancouver have come together to provide a brand new STEM program for middle school girls. Eastern Washington University is collaborating with Spokane Community College to provide more college-women with access to STEM degrees. Women working in the STEM fields are sharing their stories in bolder ways and advancing change in their own careers. Since the Town Hall series, Women’s Funding Alliance is focused on sustaining momentum and providing the gender lens needed to meet the challenges facing our state. Through grant investments and partnerships with STEM organizations across Washington, we will continue to open doors of opportunity. Together with our partners we will continue to engage communities to take on the challenge of filling 50,000 jobs. We will move forward together toward a stronger future for women, girls and Washington as a whole.